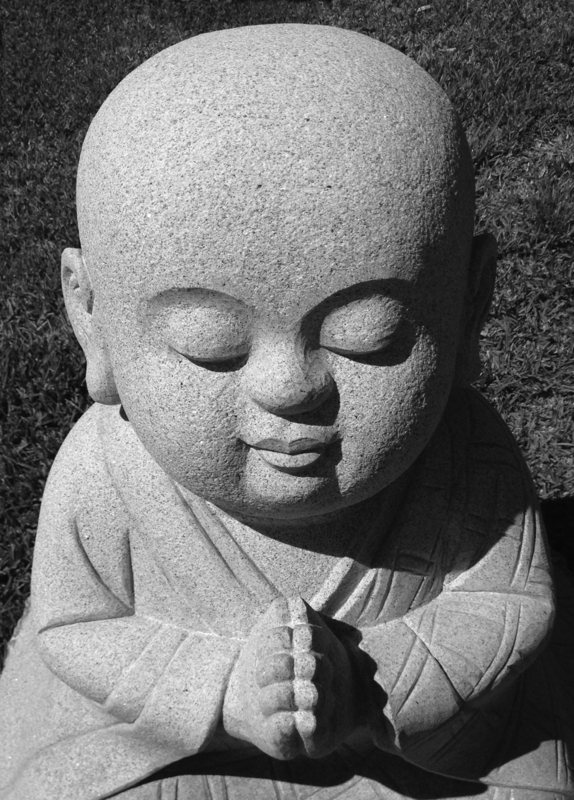 This Buddha was born monochrome. If there were no grass behind him the picture could have been taken in black and white or color and you wouldn’t be able to tell the difference. He and many of his peaceful friends live at the Buddhist Temple in Orlando, Florida.